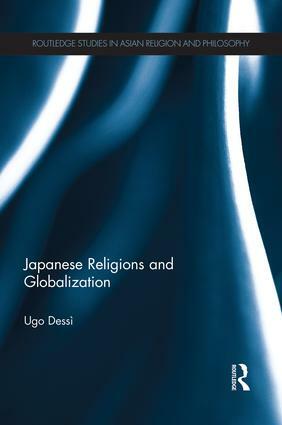 This book analyzes the variety of ways through which Japanese religions (Buddhism, Shintō, and new religious movements) contribute to the dynamics of accelerated globalization in recent decades. It looks at how Japanese religions provide material to cultural global flows, thus acting as carriers of globalization, and how they respond to these flows by shaping new glocal identities. The book highlights how, paradoxically, these processes of religious hybridization may be closely intertwined with the promotion of cultural chauvinism. It shows how on the one hand religion in Japan is engaged in border negotiation with global subsystems such as politics, secular education, and science, and how on the other hand, it tries to find new legitimation by addressing pressing global problems such as war, the environmental crisis, and economic disparities left unsolved by the dominant subsystems. A significant contribution to advancing an understanding of modern Japanese religious life, this book is of interest to academics working in the fields of Japanese Studies, Asian history and religion and the sociology of religion. ‘One true world religion among many others’?